It's been a while since a book spoke to my heart as much as this one did. Since All the Bright Places, actually. Similar to that, I finished Letters to the Lost in almost one sitting. It's a rich, character-driven story about grief, loss, and mistaken impressions. About mental illness. About friendship. It's not one of those love-will-save-you stories, but it doesn't discount the importance of being understood--whether that's in the context of love, friendship, mentorship, or family. Declan and Juliet have both lost people. Juliet lost her mother to a hit-and-run car accident almost a year ago. Declan lost his sister when he was young, and almost lost his own life when he hammered a bottle of whiskey and crashed a car. When Juliet writes a letter to her mother and leaves it on the grave, Declan, in his own loneliness, answers. And so it begins. The novel is told in alternating POVs, with each teen navigating their complex friend and family relationships while also coming to know and understand each other. Each chapter begins with the POV character reading and reacting to the other person's response. It's a little confusing at first, but you catch on quickly. Although I'd have loved chapter labels. It could be incredibly sappy or insta-love-y, but it's not. Kemmerer's characters feel authentic, their actions plausible--even when those actions are extreme. The letters begin because Juliet wants to express her anger at Declan for intruding on her grief, then evolve into tentative sharing and become more soul-baring as the teens realize how much they share. But they're anonymous. So while they're falling for each other through paper, they're also interacting in real life. Not harmoniously. Yes, it's a hate-to-love story and I freaking love that trope so come at me, bro. (When it's done well.) Juliet sees Declan as dangerous and rude; Declan sees Juliet as cold and judgmental. Rightly so, because they're judging each other on their walls. 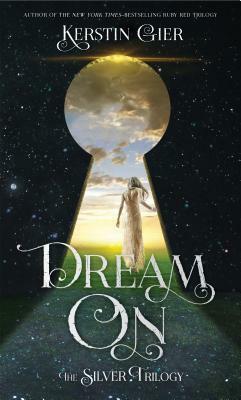 But some chance encounters lead to a shaky friendship between Declan, Rev, and Juliet. It's a little too neatly coincidental, but I really don't care, because I was enthralled at the secrets and the contrast between their relationships on and off the page. Plus, I mean, I'm a book nerd and writer. What could possibly be more swoon-worthy than falling in love through words!? But it's not just about love. Juliet and Declan each have complicated relationships with their respective best friends, Rowan and Rev (I LOVE REV), and with their remaining parents and step-parents. Rowan was overly judgmental and under-utilized, which I disliked, but the friendship between Rev and Declan was vibrant and just as important as the one between Juliet and Declan. And they didn't just cast off their friends! Although it was pretty white; there were POC characters, and in my limited opinion they seemed fleshed-out and not stereotypical, but I'd have liked to see more diversity. In addition, Juliet struggles with her father's coldness and the shadow of her mother's fame while Declan feels caught between his cruelly overbearing stepfather and ineffectual mother. But their parents aren't caricatures, either, and their stories are crucial to the progression of Juliet's and Declan's grief. Each teen also encounters other adults who mentor and care for them. Their stories are parallel without being overly similar, so the contrast is illuminating and meaningful instead of feeling like one story written twice. It's also about passions. Juliet is trying to rediscover her love of photography, a love instilled by her photo-journalist mom. Declan is trying to resist making anything of himself, because hopes lead to disappointments. I loved how Kemmerer embedded their grief in the context of growing up and finding themselves. It was so relatable. Some moments I felt like I was both of them, or had been. Except that I think the poem "Invictus" is super overrated, so I guess we're not totally twinsies. Kemmerer just writes beautifully. I highlighted so many phrases because they so perfectly encapsulated something I've felt but could never quite express. Her dialogue sounds like actual people talking. Juliet and Declan get a little poetic in their letters, but allowing that they're both very smart, creatively talented individuals, it's not too much of a stretch. It's not just pretty; she paces the story well with surprising twists and turns, including one relatively early reveal that I didn't expect at all. The ending was a little rushed (okay, I totally just wanted more kissing and I wasn't ready for it to be over), but not enough to feel unsatisfying. I. Love. This. Book. I pre-ordered it as soon as I finished it, and it's going on my shelf next to All the Bright Places, which is no small compliment. It's a book I'll re-read, and one I'll remember and return to. 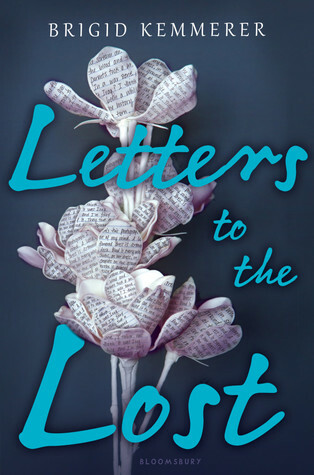 Letters to the Lost is a poignant, authentic exploration of grief and relationships with a clever take on the pen-pal love story. will i read this author again? Yes, a thousand times yes! That is an awesome review! I really liked this book too. There was the one part, which was a little over the top even for me, but I still really liked it all the same. Hm I'm trying to figure out which part that would be and I'm super curious. I can't wait for this one to come out!